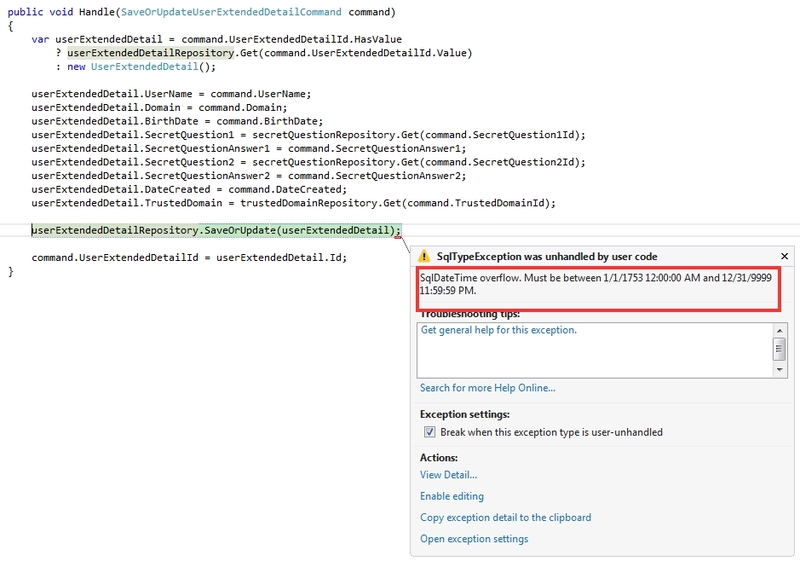 You might have encountered an issue where your application is triggering a validation on a date field which says “The field YourDate must be a date.” like the image below. then most probably you are in country that is not using the American Date format and you are not using Kendo Globalization. 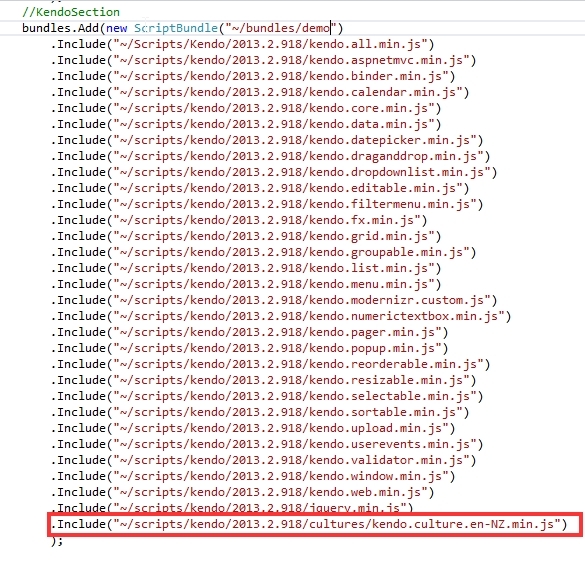 To verify that go to your scripts folder on your Web project and see if there is a cultures folder inside kendo -> the version you are using, if there’s none then that is your problem. 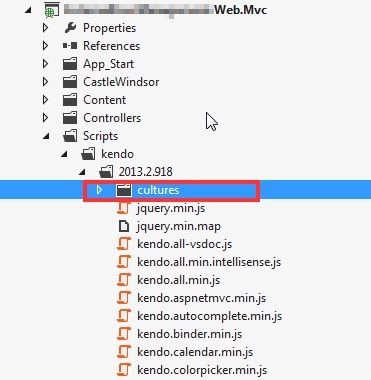 To fix that is to simply import the cultures JS library on your Kendo UI installation path which by default is located in C:Program Files (x86)TelerikKendo UI for ASP.NET MVC Q2 2013js. First you need to copy the culture you need or if you need multiple ones just copy everything inside the Kendo version scripts folder like in the screenshot below. Now the library is there all you need to do is reference it to your project. For this demo we will use New Zealand Locale but you can use multiple if you want, you just have to programatically load the culture you want. Then all you need now is to set the current culture in _Layout.cshtml then you’re all good to go.